The UFC is heading back to “The City Of Brotherly Love” for the first time in over seven years. This is the home town of former UFC lightweight champion Eddie Alvarez. Alvarez recently departed from the promotion to sign with ONE Championship. The news of the UFC heading to his hometown after he just left the company has to be upsetting for “The Underground King.” After the news of the UFC’s return to Philadelphia broke, Alvarez made a comment. The UFC’s return to Philadelphia will go down on March 30th. That same weekend, ONE Championship will be holding their “A New Era” show on March 31st from Tokyo, Japan. Alvarez will be facing Timofey Nastyukhin in ONE’s lightweight tournament. Former UFC flyweight champion Demetrious “Mighty Mouse” Johnson will be competing on the card as well. He will face Yuya Wakamatsu in ONE’s flyweight tournament. 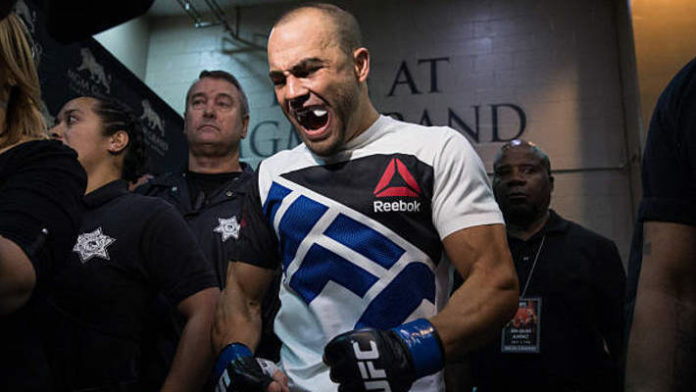 What do you think of the UFC heading to Philadelphia after Alvarez’s departure?